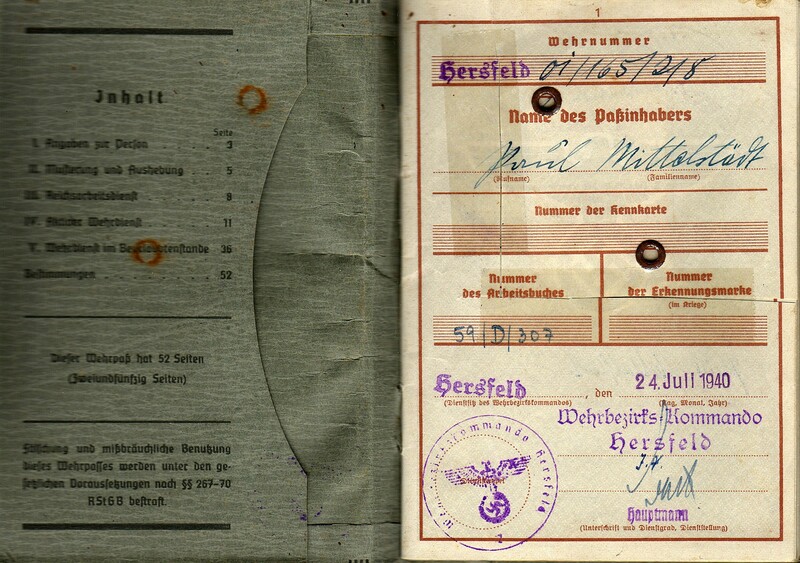 54-paged military ID issued in 1940 to a 39 year old with entries up to 1944. 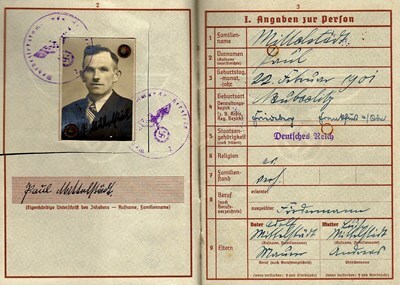 The ID indicates the holder as being a driver in civilian life and coming originally from Frankfurt an der Oder, as well as having completed eight years of schooling. 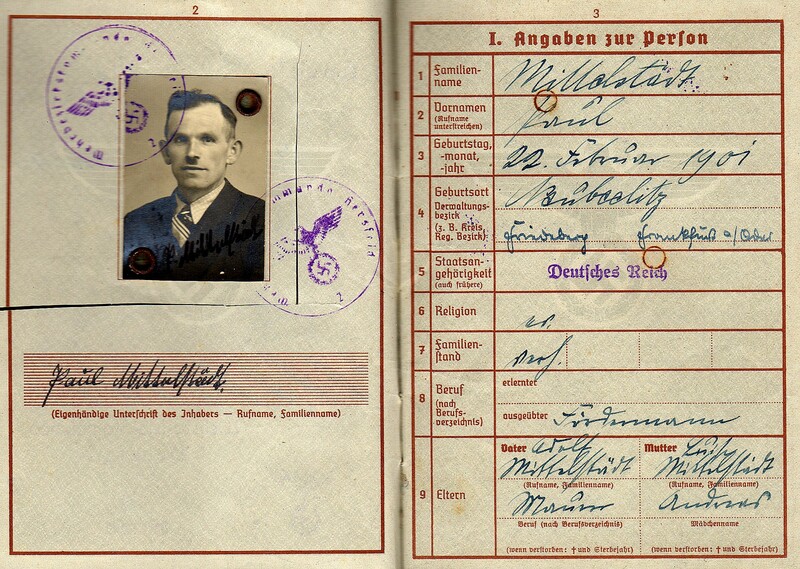 He was called up as a draftee in July 1940 into the Landwehr. 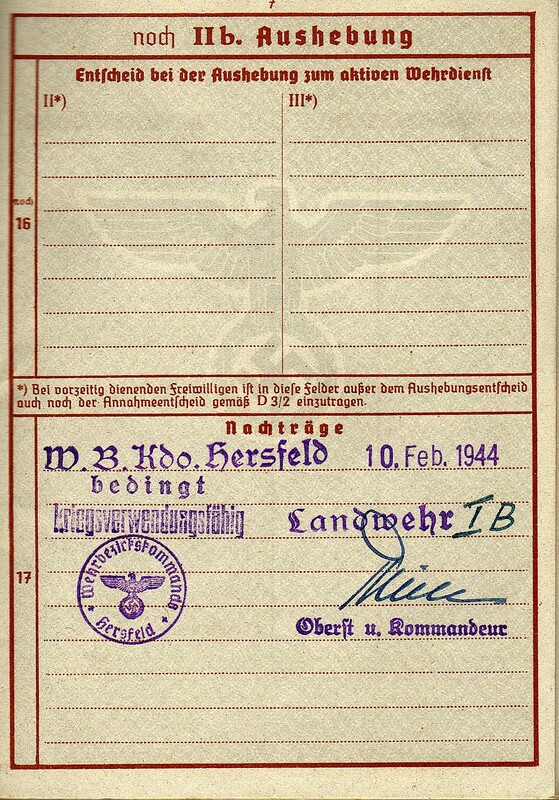 There is also a supplemental stamp in the book from the Kommandeur in Hersfeld on 10 February 1944 indicating the ID holder as being physically able to serve at the frontlines. 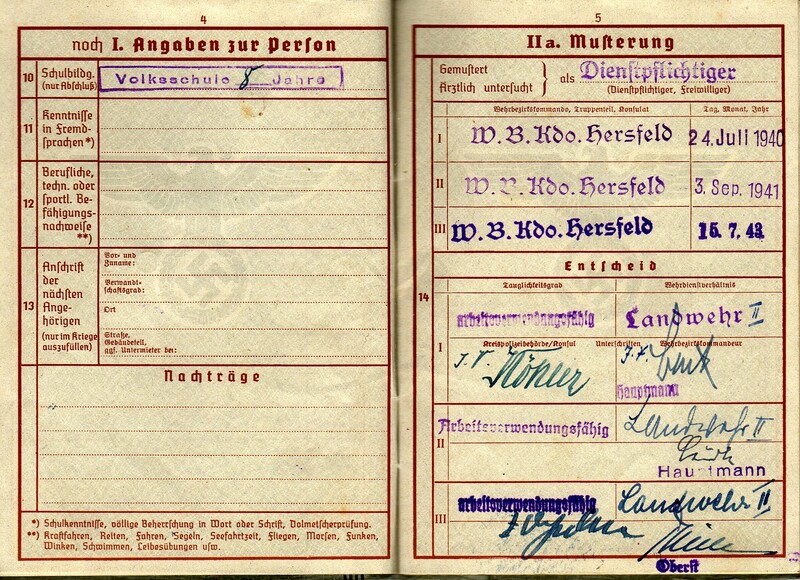 There are entries on six of the pages. 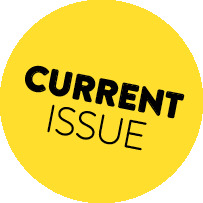 On the first page, two pieces of tape have been put over tears in the page. 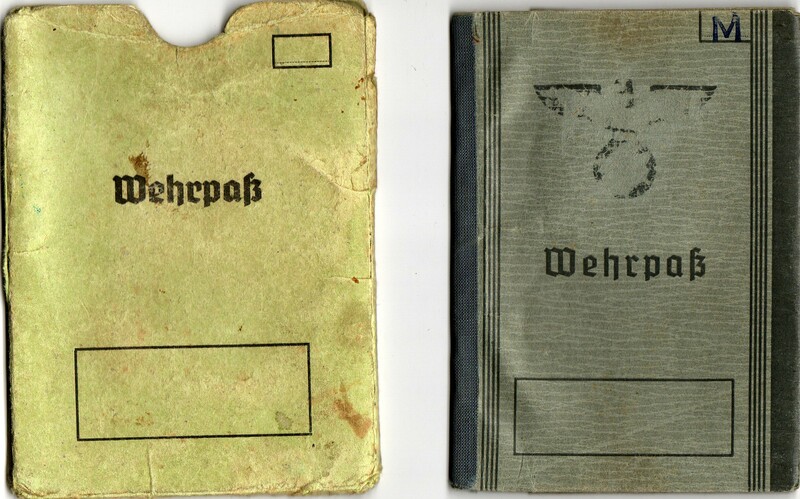 The ID comes with its protective cover as well.